Best known for: Empire Falls, about a dying mill town in Maine that’s dominated by a wealthy family; the novel (Pulitzer Prize, 2002; HBO miniseries, 2005) is told from the perspective of a middle-aged disappointment named Miles Roby, who’s divorced and runs the local diner, should have done better for himself, and knows it. His latest novel: That Old Cape Magic — a return to Russo’s academic satire in Straight Man (1997) — in which middle-aged Jack Griffin realizes that, by not shedding his parents’ snobbery, he has distanced himself from what makes him happiest in his marriage, friendships and career. Best known locally for: His Spokesman-Review reporting; his book on Ruby Ridge (1995); and his novel Citizen Vince (2005), about a wise guy in Spokane in 1980 who tangles with New York mafia, all while trying to decide whether to vote for Reagan or Carter. His latest: The Financial Lives of the Poets, in which Matt Prior decides that, when faced with the ravages of the Great Recession (lost career, teetering marriage, home foreclosure) — and if his Website offering financial advice in verse hasn’t succeeded — then his best option is to get involved in … selling marijuana. Yeah, that’ll solve everything. Russo and Walter will both appear in a panel discussion about adapting novels into screenplays on Saturday, April 17, from noon-1 pm at Hotel Lusso. Free. 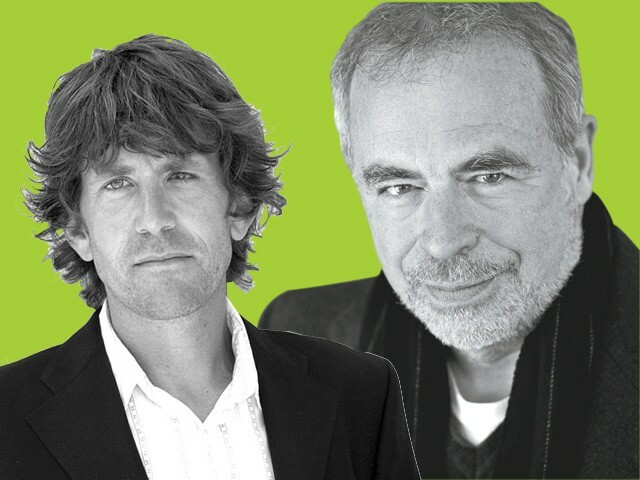 Walter and Russo will read from their novels and interview one another on Saturday, April 17, at 8 pm at the Bing. Tickets: $20; free, students. Visit ewu.edu/getlit.